It dawned on me that we won't be spending another weekend altogether as a family until the weekend before Christmas so I really wanted to make the most of all things festive this weekend starting with a trip to Newcastle. We caught the 9am bus into Newcastle where our first stop was The Marmalade Jar (aka The Paddington Cafe) on the second floor of Fenwick. After my visit earlier in the month I realy wanted to return with the kids as we are all huge Paddington Bear fans and I knew they'd love it. We queued for a couple of minutes and a table was soon ready for us. 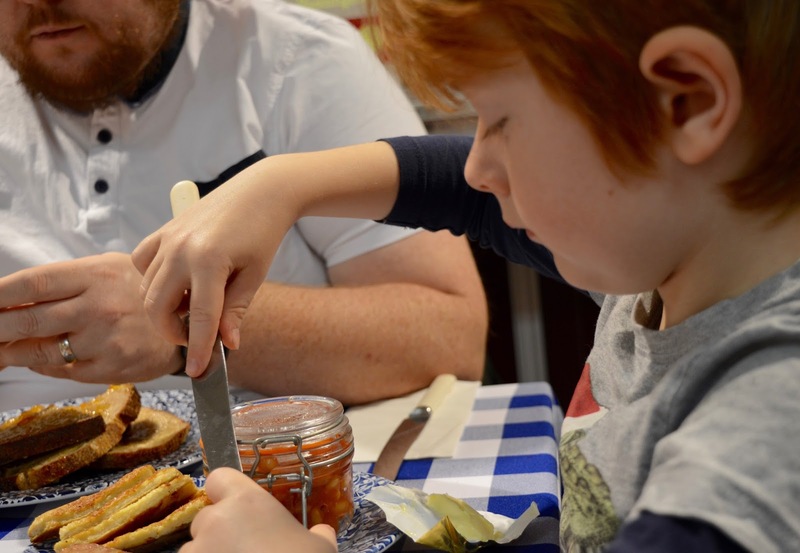 Breakfast is served until 11am, you can view menus and take a peek inside here. 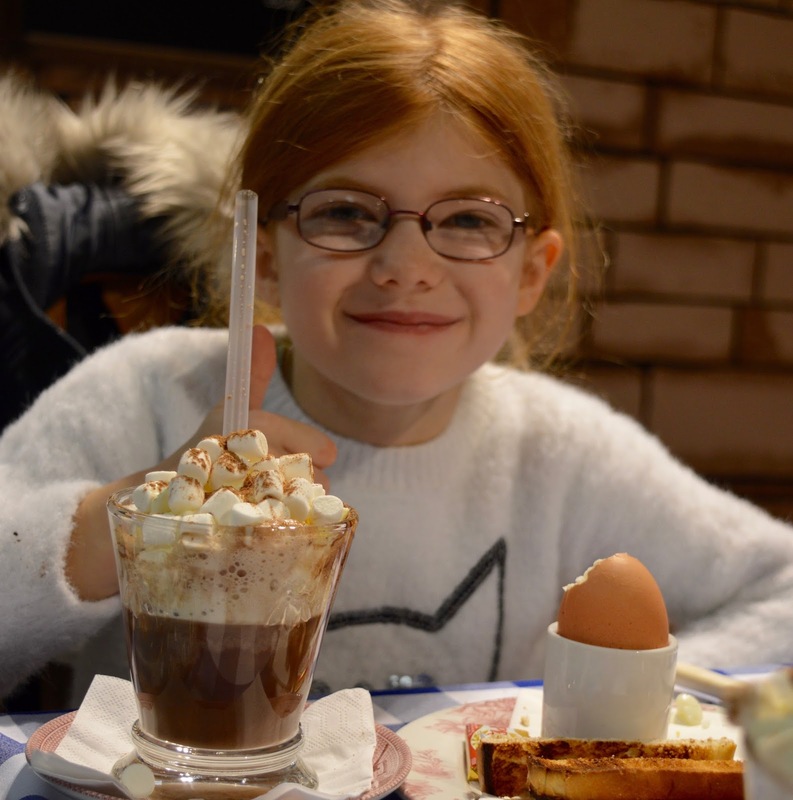 First of all, the kid's hot chocolates are a bargain at The Marmalade Jar and I'd highly recommend ordering a children's version even for older kids. They're the same size as a grown up's version but aren't as strong tasting and cost just £1.50. Topped with cream and marshmallows, they're super tasty too. I ordered the gingerbread hot chocolate and it was so delicious. 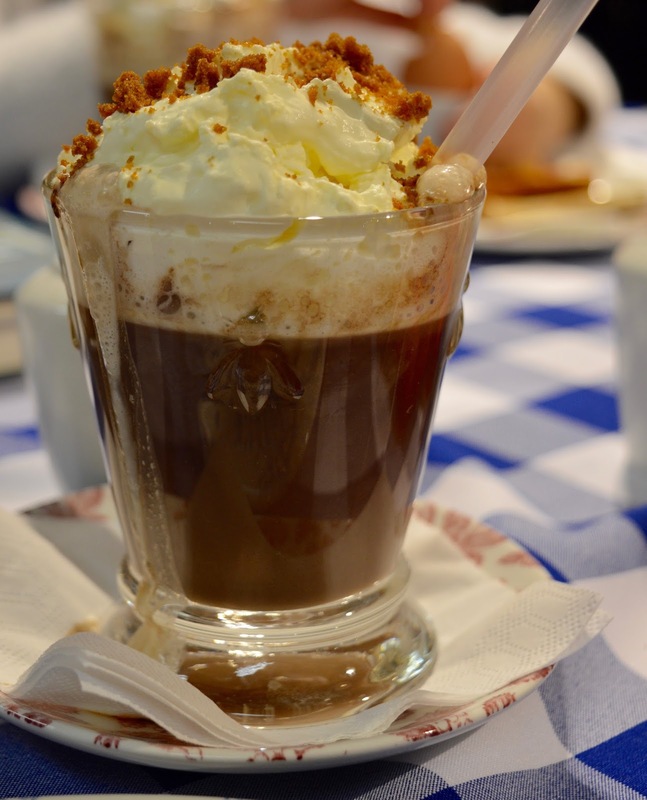 Made with gingerbread syrup and topped with marshmallows, cream and a gingerbread crumb it was the best hot chocolate I've had in a long time. Steve thought it tasted a little synthetic but I didn't find this to be the case. Heidi ordered egg and soldiers and Steve was again not impressed that her egg was overcooked so there was no runny yolk for dipping. I can forgive this as I just love the setting and as long as the food is edible, that's good enough for me. Jack ordered the kid's breakfast and said that this was the best place he's ever visited and was asking when we could return. He was nearly in tears when I told him the cafe was just here for Christmas. I hope I get to take him back again before it closes. 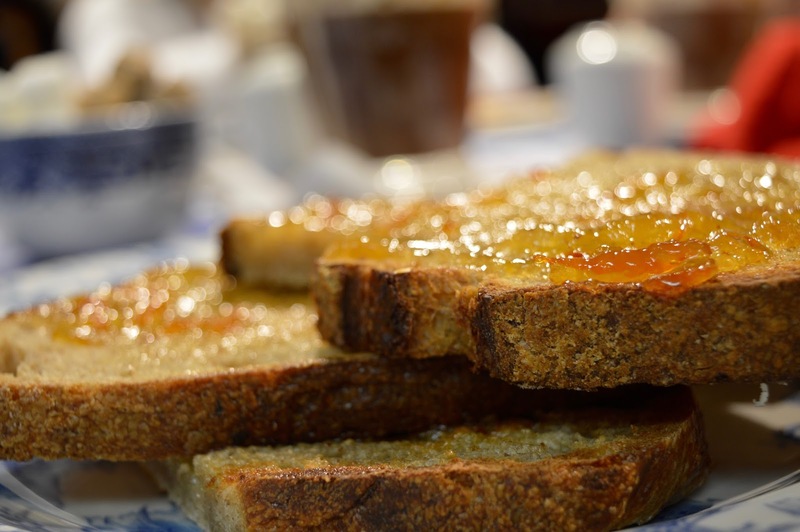 The rest of us enjoyed marmalade on toast (when in Rome right) and Steve noted this was better than expected. Our total bill was £30 for 5 hot chocolates and 5 breakfasts which I think is pretty good. Service is lovely too. As I'd attended the ice skating launch at Life Science Centre, I'd been provided with free ice skating passes for the ice rink. The prices and opening hours can be found here. Now I am notorious for falling over, have weak ankles and a dodgy shoulder - there's no way you'd get me on the ice ever so I decided I was going to be our dedicated photographer and stay in the spectator zone where there are plenty of tables and chairs. 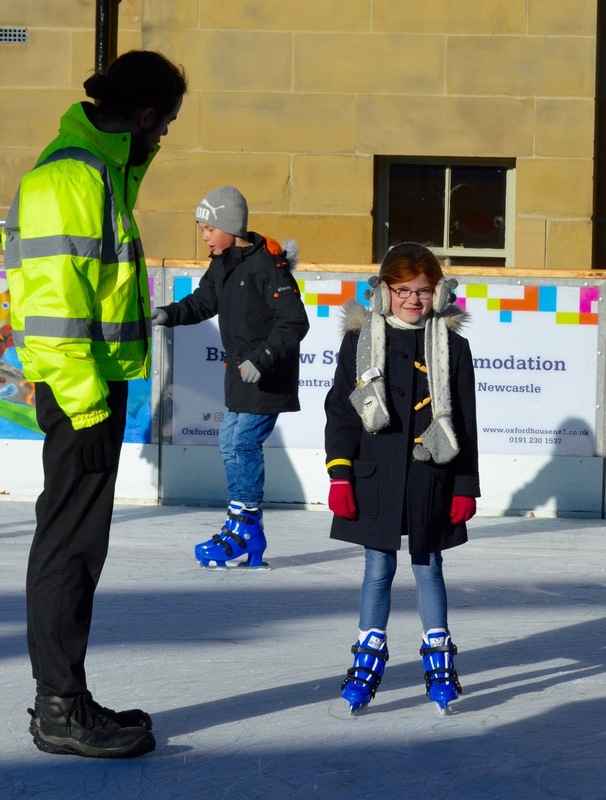 Tickets should be purchased at the main reception in Life and it's worth noting that children under 9 can't skate unsupervised. It takes a while to put your skates on if you're out of practice like we were and both Heidi and Harry needed to move up a size. 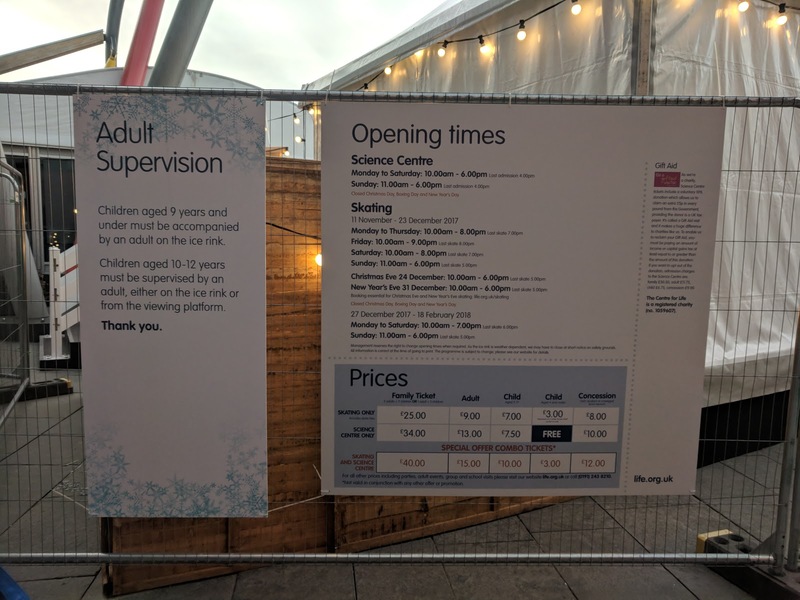 You are given a wristband on booking and this gives you an hour on the ice which we think is ages and more than enough time. Poor Jack only lasted one lap - he wasn't a natural and didn't really enjoy it to be honest. He's not usually up for this sort of thing so I kind of expected it. He's still glad he tried it though. He joined me at the viewing platform and happily sipped a hot chocolate from the cafe as we watched the others. 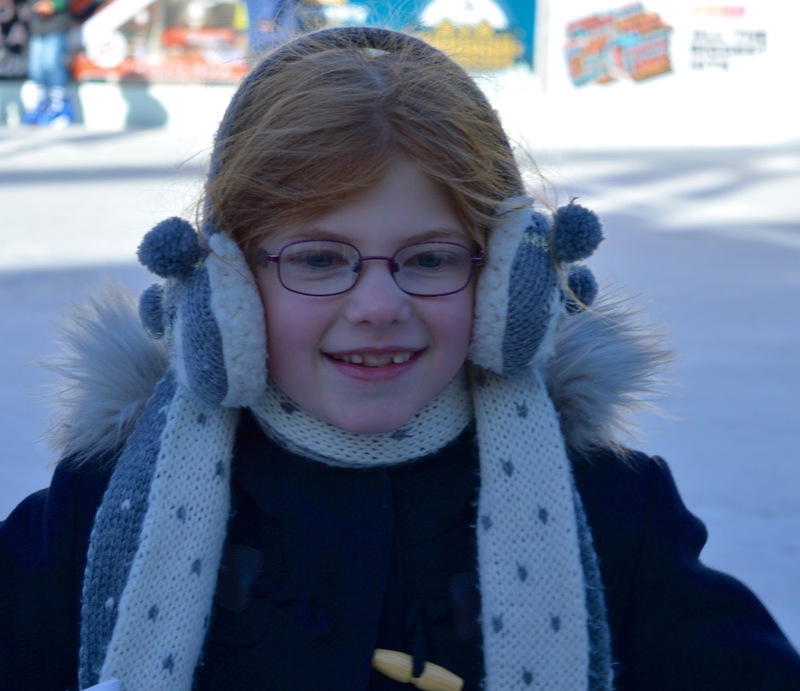 There aren't any frames for little children like there are at some other ice rinks and I think if you're unsure how one of your children are going to find it and there's only one adult in your group, I'd maybe try a synthetic ice rink first which is probably best-suited for beginners. If Steve wasn't with me I'd be pretty annoyed if we'd all had to leave after one lap because of Jack. 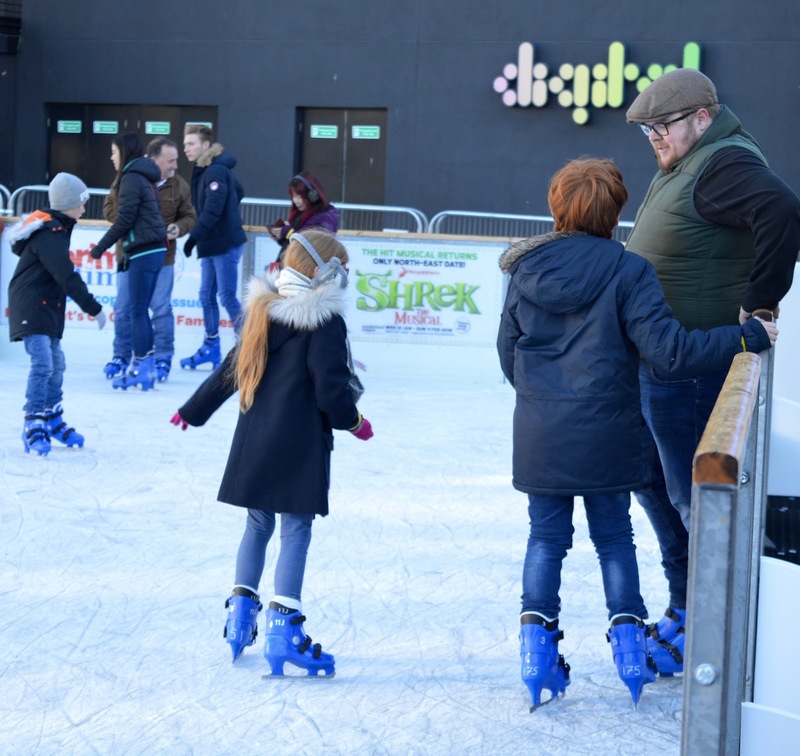 If there is more than one adult in your group or you've been skating before so your children know what to expect, I can't recommend skating at Life enough as it's so well organised and the staff are fantastic. Plus you can't beat skating on real ice. Harry reminded me a lot of myself and went around a few times holding the edges. He fell over a couple of times and the helper skaters were straight over helping him to his feet, tightening his blades and checking he was ok (he was) which was much appreciated. They also spent some time giving him some tips and advised he takes mini steps until he got used to it. This seemed to work and although he was nowhere near his sister's level, by the end of the session he could skate without holding on and we were all super proud of him. Steve - well in his own words, he still had it! He's chuffed he didn't fall over and could remember his moves. As a spectator I have to say it's hilarious watching some people (although maybe I shouldn't laugh as they are already doing better than I am by stepping foot on the ice) and there was one couple in their 20s who were really trying hard but the poor bloke look terrified! 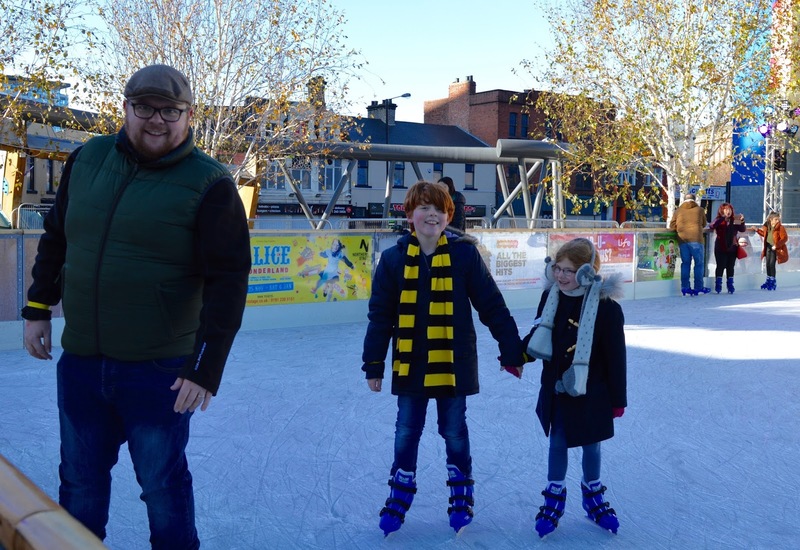 If you're looking for a date idea that's a bit of a laugh and something different, there were a fair few couples on the ice as well as families. 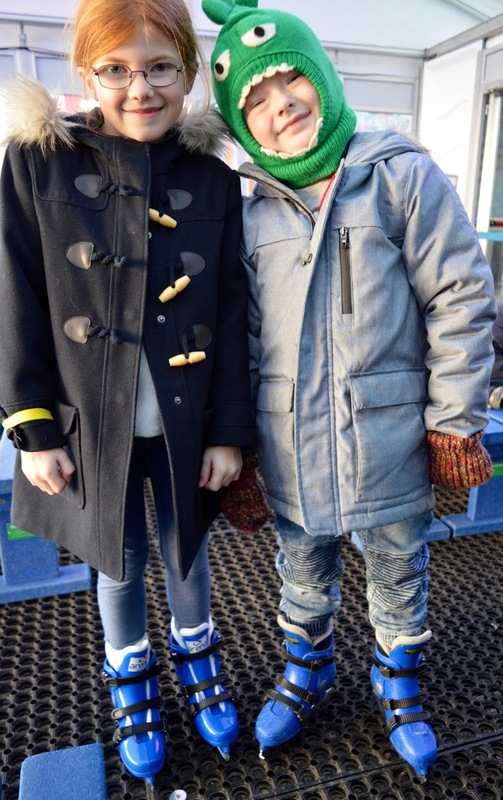 We would 100000% recommend ice skating at Life and I am pretty sure we'll return after Christmas before the rink closes in February. 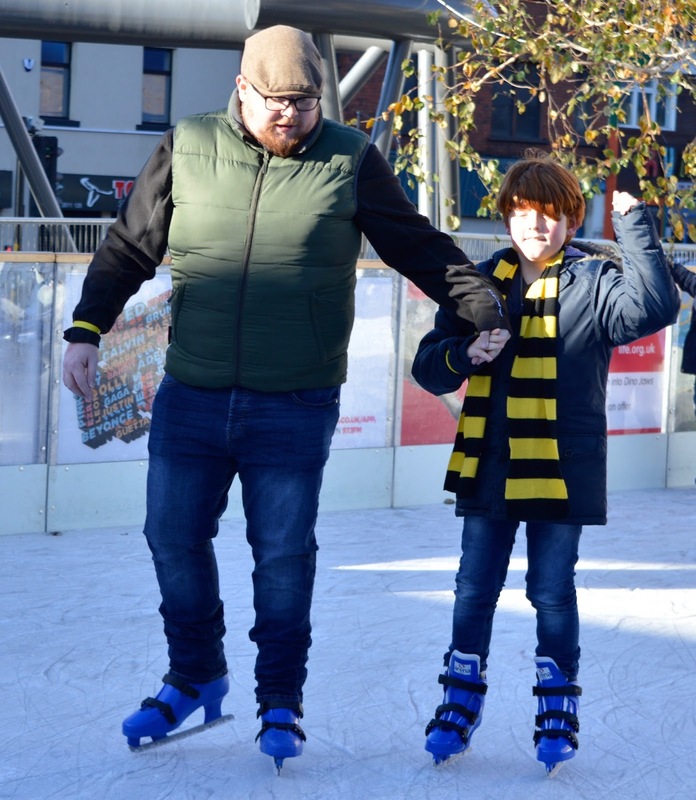 Jack and I aren't skaters but it's still nice and festive spectating and actually quite comfortable with a hot chocolate in your hands as you listen to the festive music. 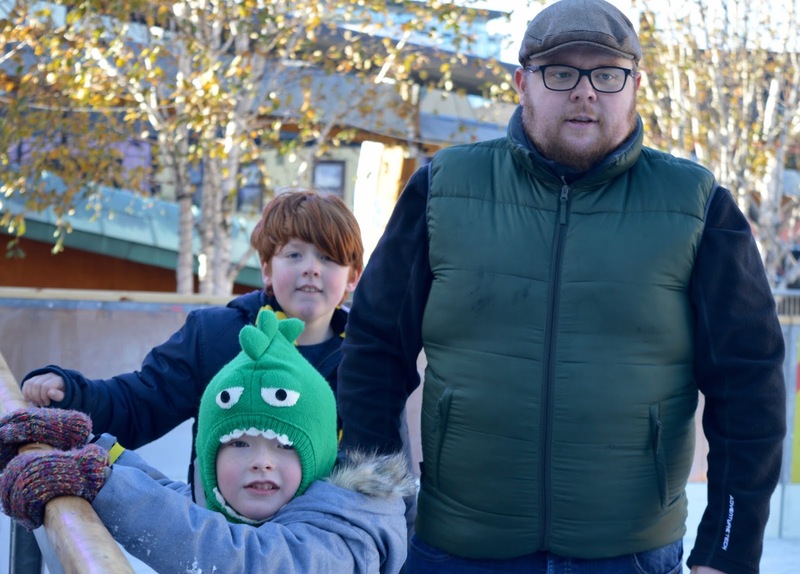 Steve, Harry and Heidi said they much preferred skating on real ice and said that Life's ice rink was the best one they've tried. 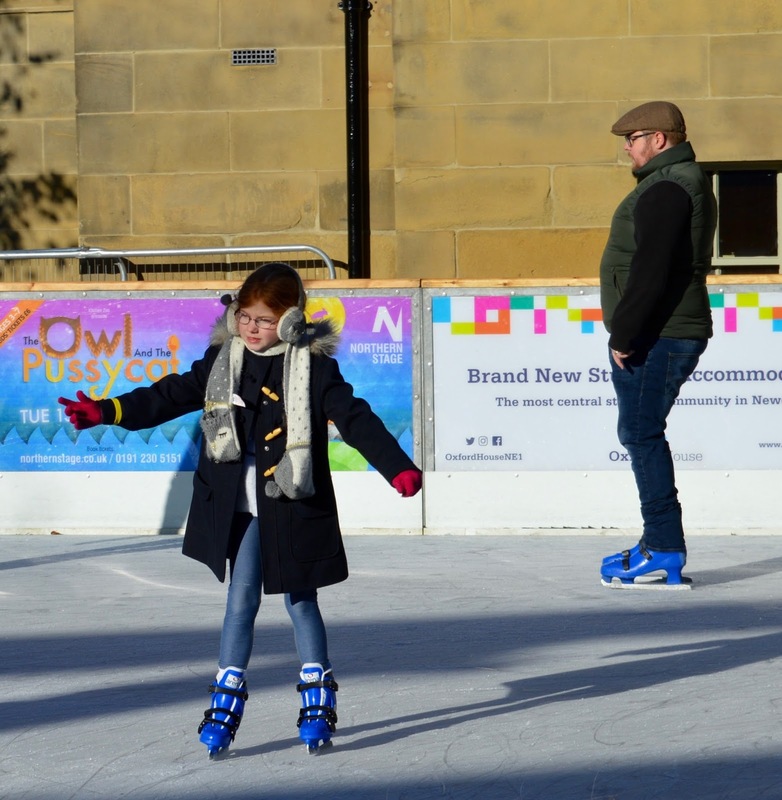 For me, I love that it's in the heart of Newcastle so can be joined onto other experiences as part of a festive day out. We did have plans to visit Hadrian's Tipi for another hot chocolate and take Steve to see Fenwick's window but late afternoon on a Saturday in Newcastle is not really the best time to do this. OMG it was SOOOOO busy. Hadrian's Tipi was rammed and the queue for the window was all the way down Northumberland Street. It was up to the traffic lights at Goldsmiths I kid you not! As we'd already seen the window we decided to keep this for another day instead. We're in Newcastle a couple on times over the next month to watch pantos so I'm sure we'll catch it then. I am feeling so festive after our trip to Newcastle and can't wait for our festive weekend to continue with a trip to intu Metrocentre to visit Father Christmas and watch Paddington 2 tomorrow. Have you been up to anything festive this weekend? Or is it still a little early? 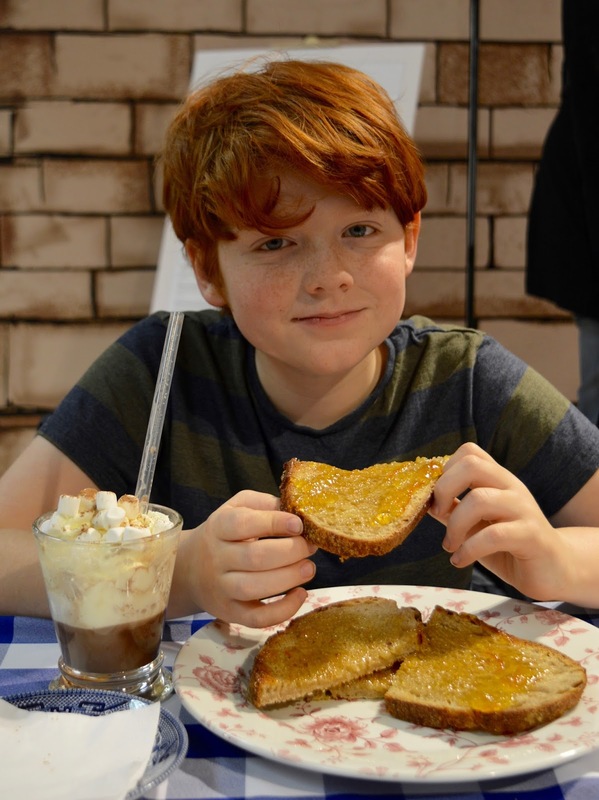 Sounds like you had a lovely day, The Marmalade Jar cafe looks lovely, can't wait to visit! Looks like a lovely day was had! I might need to take Zoe the the Marmalade Jar as she has been a little Paddington obsessed since seeing the window. I can't wait to go to the Paddington cafe, I'm such a big kid but I'm loving Paddington this year - I'm completely involved in all the hype, it's the best theme for this year's window and i can't wait to see the movie!